Oakland fullback Marcel Reece (0% owned!) returns from injury the very same week that teammate and talented Scotsman Darren McFadden is forced to sit out with a foot injury. While Michael Bush will likely get the bulk of the carries, Reece is likely to get some share of the load and also to serve as the primary pass catcher out of the backfield. The starting debut of quarterback Carson Palmer is also likely to affect Oakland's play-calling in a run-heavy direction. Kansas City's Dexter McCluster (26% owned) hasn't been particularly productive either as a receiver or a rusher this season; however, he (a) has received some rushing attempts and some passing targets and also (b) qualifies at wide receiver (in Yahoo, at least). Also, the Chiefs face a 29th-ranked Miami defense. 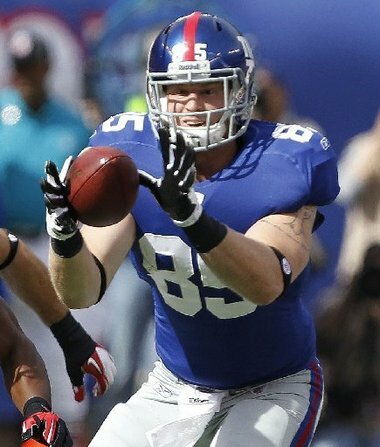 Giant tight end Jake Ballard (30% owned) saw seven targets last week, has seen 12 over the last two games, and faces a New England team with the 28th-ranked defense (per GWP) and second-worst net yards per pass allowed (7.5). Also, it turns out that Eli Manning (second-overall 6.9 AYPA) is having an excellent season thus far. Oakland (35% owned) plays at home against a Denver team that's very unlikely to excel with Tim Tebow at quarterback. With Carson Palmer starting for Oakland and new to the offense, this game is likely to produce a lot in the way of punts. I'm a fantasy football nut, so wouldn't mind seeing some sort of regular feature focusing on that. That said, I think to differentiate you would need to focus a little more in the writeup on what you have mentioned above, i.e. repeatable stats. Talking about injuries, or whether a RB receives attempts both passing and receiving are covered on a ton of other sites (and no offense, but in a much better manner). Some other interesting things to look at would be the interaction between defense and stats. i.e. what is more predictive of how a RB or WR will do. Their past production, or the DEF they are playing, to what extent? What are the numbers? Again, I wouldn't mind a little fantasy football coverage, but it would be nice if it brought it from a different angle than other sites that focus on that. Just my 2 cents. What I would find to be interesting is an incorporation of the game probabilities to the pass/run plays, e.g. predicting how many carries a team's RBs will get or how many passing plays a QB will throw, based on the probability of their team of winning. As with the above comment, I would like to see how predictive of what an RB or WR would do, not just because of the defense, but also based on the opportunities they get. I think there's a lot that Brian offers that will be different from what other fantasy football sites will offer. There's a market out there for these types of articles, and I look forward to reading more insights from Carson and others about this. On the repeatable stats -- it would seem to me and from what I read from this site that pass/run ratio is dictated heavily by the clock and the point differential. If you could isolate out those scenarios, splitting up pass/run ratio as influenced by the situation, vs. pass/run ratio as influenced by the team itself (Steelers passing, etc. ), you could perhaps isolate just how predictive a team's pass/run opportunities are. Situational-influenced pass/run can be incorporated from the win probabilities, etc. @Boston Chris: Duly noted, all of it. Question: which authors/sites do you generally see as providing the most sound analysis? @Albert: Smart stuff. I'm not the person to do it, but I have no problem harassing Brian about maybe looking at run/pass distro by clock and score. Like, with Houston this week: they have an 85% chance of beating Cleveland. If they're winning big in the 4th Q, we might expect quite a few run plays, perhaps, yes? And perhaps not all from Foster, but from an RB further down the depth chart, yes? @Albert: Predicting touches from WP is an interesting thought but I worry that it would be subject to random noise akin to trying to predict final scores/team yardage on a game-by-game basis. I used to use fanball.com for news/injury updates, but they seem to have stopped that this year, which led me to find rotoworld, which has some really good stuff, mixed in w/ some nicely written, yet not as useful puff stuff. I really like to take into account fantasy pts allowed as provided by fftoday.com. I think they have some other nice tools, but my time available to look at stuff the last couple of years has not been as much as I would like. I also in the past have done some of my own personal analysis trying to figure out repeatable expectations by position from one year to the next, but that's been years now. All have 60%+ accuracy for each year they were rated, except Pianowski, who dipped to 59.1% in '10. @Chris: Big fan of the inflation factor you guys use. Just went through that for the first time in my ottoneu league at FanGraphs, and it totally heightens the experience. Great post, but a little too late in the week to take advantage of this weeks matchups, no? In my league it takes at least a day to pick up a player.